KEN BROWN ENGRAVING WANTS YOUR ANSWER TO A QUESTION. Today I had the great pleasure of sharing a table and a meal in my favorite restaurant in Plano, Texas, with a sweet friend I’ve known since 1970. Her name is Suzie Humphreys. We worked together at a Dallas, Texas, television station several television eras ago. She was in front of the camera. I was behind it. It was a live, morning talk show called News 8 etc. For a while, I was a cameraman as I learned tv production 101 from the likes of Jim Rowley, Tommy Johnson, Gary Jones, Jack Smith, Leo Langlois, Bud Buschardt, Dave Calhoun, and Murray Campbell, among others. Bob Turner was the big gun in production and we were his posse, ferreting out creative ideas for promotions, commercials, news production, and occasional public service announcements. Unseen creative vibrations and tremors from the minds of those people would likely have registered on a California Richter scale. Later, I was tapped to join the production crew and, my-oh-my!….what a grand experience that was. Best time of my working life. No kidding. It was magic in every sense of the word. Suzie and I hadn’t visited more than a few minutes at a time together, on several occasions, in those 40+ years. We had a lot of catching up to do. This vivacious redhead has the personality of the favorite aunt you loved to be with. The positive one who never uttered a negative word about anyone, or did anything you wouldn’t share with the preacher. She is smart, fun, and has the energy of a 20 year-old. 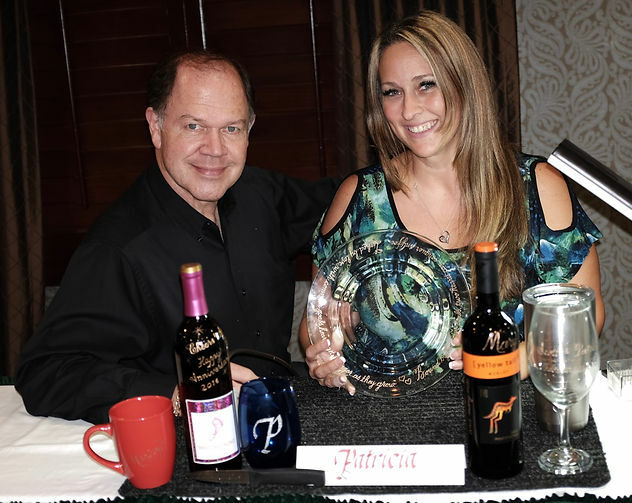 Among the multitude of things we talked about on this two hour, one-beer-apiece lunch, was her continuing life on live tv…another local station now…. her hilarious and motivational speeches she gives to groups all over the U.S., and her philosophy and wisdom about life. The wisdom part is my word, not hers. Suzie is wise in many ways, beyond measure. It’s illuminating to be in her presence for just a few minutes to hear her side of the conversation, peppered and punctuated with laughs and her signature giggle that is only Suzie’s. Radio. Public speaking. Traffic reports from a helicopter. Becoming a mother the first time at 40. Dealing with screwball people along the way, each of whom, became a valuable lesson in some way. Developing friendships with legions of other people across the land who would write their own similar description of her. She has plenty of material to talk about and audiences are mesmerized by her stories. At one point, the subject turned to her interest in what I’ve been doing since our tv days together. We scheduled the lunch for a big wine bottle handoff; I did one for her neighbor’s birthday. 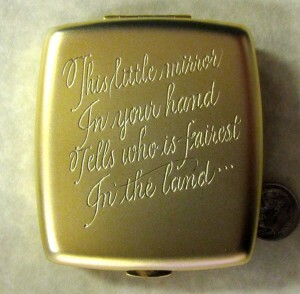 Along with the bottle I gave her engraved compacts. One for her and one for each of her two neighbor-lady friends who will be at the party. 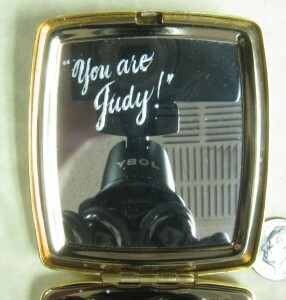 She had seen my engraved compacts before but was not expecting these. That was a total surprise and she’s anxious to give them. That discussion prompted me to mention the Estee Lauder ‘miracle’ I wrote about in 3 parts over the past few days on this blog. While I told Suzie the story about the UPS truckload of boxed compacts, and how all that came about, we had unblinking eye contact. She did not utter a word. When I was done, she asked a couple of questions about the compact delivery. In 1996 Ken had been working his buns off at the Oscar de la Renta counter in a big store. One fragrance line. Off and on. Many events. Lots of bottles engraved. The sales girl at at the Estee Lauder counter walked over and asked if he would go meet an EL regional director 30 miles away. Ken said yes, he would. Ken did. It resulted in travel all over the country for Estee Lauder. Three years later, in 1999, Ken got a call from NY. EL asked him to teach engraving to others so they could hire his students in other stores across the land. Shortly thereafter the UPS truck came. A literal ocean of brand new…NO SCRAP…discontinued compacts came for his classes and promotion of them. Ken has wondered for years…MISTAKE or MIRACLE? Then, there was a brief silence and that locked eye contact again with Suzie. “What is the POINT of the story?” she asked. I thought she had actually been asleep with her eyes open as I explained the compact trilogy. I had missed the entire ‘point’ of the story that she saw like a beacon on a firetruck. Then she told me. Crystal clear. It related so closely to two other non-compact incidents I shared here and in my BrownLines™ newsletter recently. While fighting drive-time traffic on Hwy 75, back toward McKinney, I kept thinking how I could share, here, what I learned from Suzie’s wisdom and perception during lunch today. Here’s how I’ve decided to do it. In a word, the answer to Suzie’s question is simple. You tell me in the comment box below what YOU think the point of the compact story was. I’ll show your responses to Suzie and we’ll pick 5 of you readers who we feel most closely state it correctly. 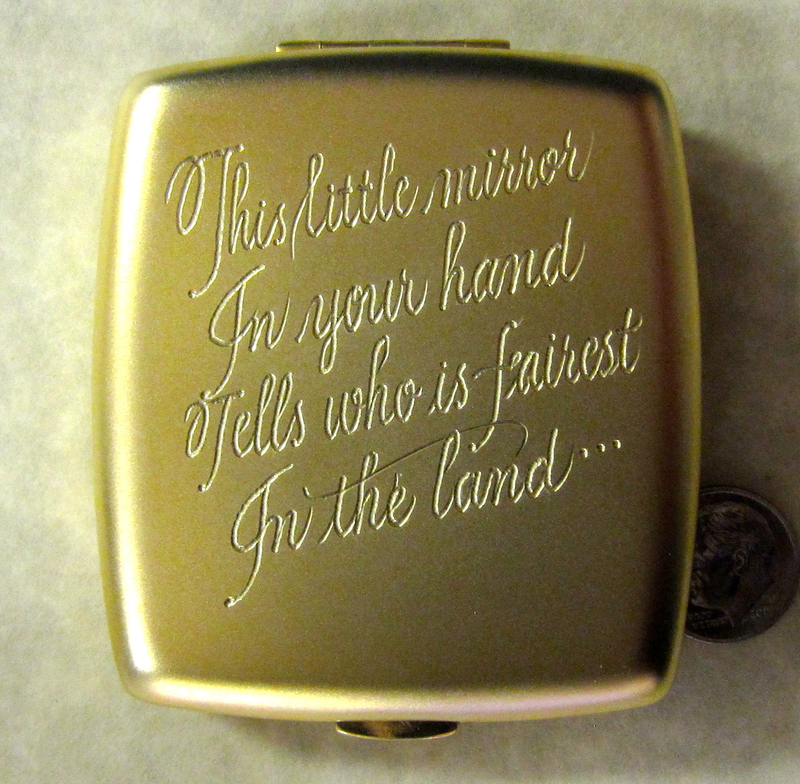 Each of the 5 will get a compact like the one shown above, engraved with the same verse and the name you want on the mirror. Heck! I’ll do TEN compacts for the closest answers. If you can’t figure it out, send the link to these posts to a dozen friends and let them in on the question! I can spare the extras so spread the word. I’ll be watching the COMMENT boxes below and you should to. Winners will be selected and notified in about 10 days. I’ll let you all know. Good luck! KEN BROWN ENGRAVING PROMOTES TO THE PROS WITH A BIT OF PROSE AND A 5-IRON. KEN BROWN ENGRAVING ADDED A CLUE TO THE ANSWER IN PREVIOUS POST. 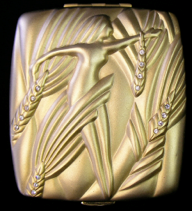 17 Responses to KEN BROWN ENGRAVING WANTS YOUR ANSWER TO A QUESTION. Nothing happens unless God wills it. others, not merely for the money, but the joy of giving and sharing. I’m sure that Estee Lauder saw this as an opportunity to share that with their customers and make a profit as well. Small sparks ignite wild fires. It’s how passion burns and sets ablaze inspirational motivations all who see its light and feel its warmth. You inspire an “im-pyre”! The moral of the story is – You have to believe to receive, but you also have to ASK. Taking action beats wishing every time! , the point of the story, believe in yourself and share with the world. That’s what happens when you share a talent like Ken’s. That’s what Ken does with his talents. Was It A Mistake or A Miracle? Our minds look for reasons, while our hearts simple believe. A great idea scratched out on a napkin without belief in possibilities is just a scrap of paper that could be tossed along with your used coffee cup. But,that same scrap of paper infused by our muse and pumped by our passions has been instantly messaged to the ethernet of our dreams and desires and received by the Creator. I will give you the desires of your heart if you only believe. It was neither mistake nor miracle, accident or happenstance your life was transformed back then. And neither was running into your old friend, Susie. All the best to you and yours, Ken. I had a dear friend (since Elementary School) who taught me more than I had ever imagined about angels – that they, indeed, walk among us and we encounter them in many ways – sometimes we are aware and sometimes not. Your angel used you (due to your talent and good heart) to help many others -from business executives to those wanting to be taught. Your response was what was needed – and now you can see the results of that first encounter! Hebrews 13:2 reminds me of your unexpected meetings – and the unbelievable events that followed. MIRACLES – hands down!! Loving the comments and feedback. Keep them coming. Reading every word! In one word, I think it would be “notoriety”. 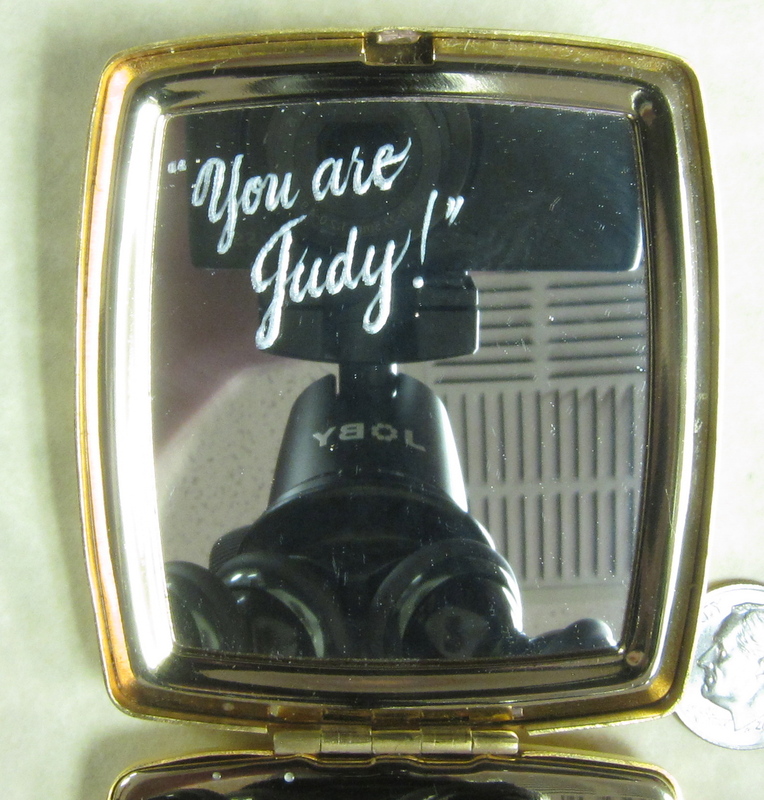 With your talent you were able to reach the highest representation of the company (NY), the value that the company saw in your talent and the prospects of you teaching future engravers to engrave “their” products (shipment of compacts). Notoriety can be a form of fame amongst your peers without being famous. Keep up the good work Ken! Companies that I engrave for value the relationship they have with their customers. The point and miracle was not the compacts, but customers became friends with quality customer service. 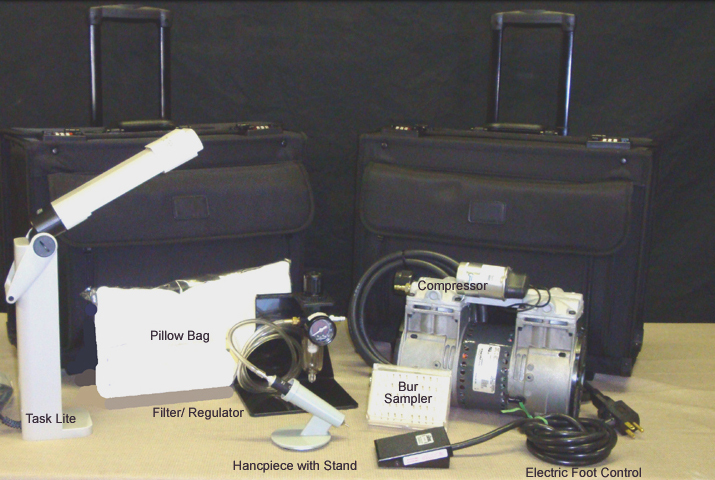 EL invested in Ken Brown to make engravers like himself so they could provide the best possible service to their customers. To me the point of the story is thru the years your desire, your passion, your dedication has taken you to places few of us have known. The fact that you are willing to inspire and teach to others what you have learned is rare and will have rewards that far exceed monetary values. You have taken a mostly forgotten skill and transformed it to a new world. Este Lauder saw a man who cared about the finish product and the desire to work with them and others. Someone who continues to touch the hearts and lives of many and is a good steward of the good in mankind. I tracked down part 3 of your Este Lauder story and read it. I now think you’re very intelligent and business savvy lady acquaintance saw a grand opportunity in combining your amazing talent with her product line. Using a single word in describing the point would be, “Advertisement”. As you train students that advertisement spreads out across the land. I am certain that there are thousands of Este Lauder retailers out there. She took something that had been written off and turned it into gold. What an amazing story. Thanks for sharing it. The “Miracle” is that you are able to teach your skills FOR 12 YEARS to very grateful, happy, and (hopefully) soon to be certified students like me! Ken is a decades-long experienced Calligrapher, and Engraver of Calligraphy, known far and wide for his books and twelve years with his own teaching series in over 100 Public Television markets in the U.S. He has personally taught his unique approach to thousands across the world who are now earning handsome fees, producing beautiful script with markers, pens, and a screaming-fast dental drill used to put elegant hand-lettering on almost any surface! Ken’s Workshop – Sign Up Today! Subscribe to by notified of new posts. We keep your information private and never share your email address. 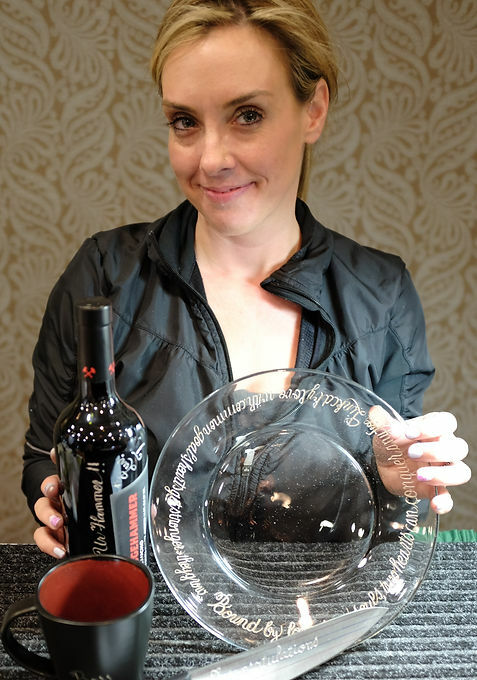 © 2019 Glass Calligraphy Engraving | Wine Bottle Engraving | Ken Brown. All Rights Reserved.